Its almost that time, time to get your sun-denied little feet out of their socks and toe-warmin shoes and into those flip flops. Today I went to the shoe store with my daughter and we saw these cute flip flops with ribbon flowers on top of them. I looked at my daughter and said ‘I can do that!’. So I came home and I did just that! 1. Take ribbon and sew the basting stitch across the top. 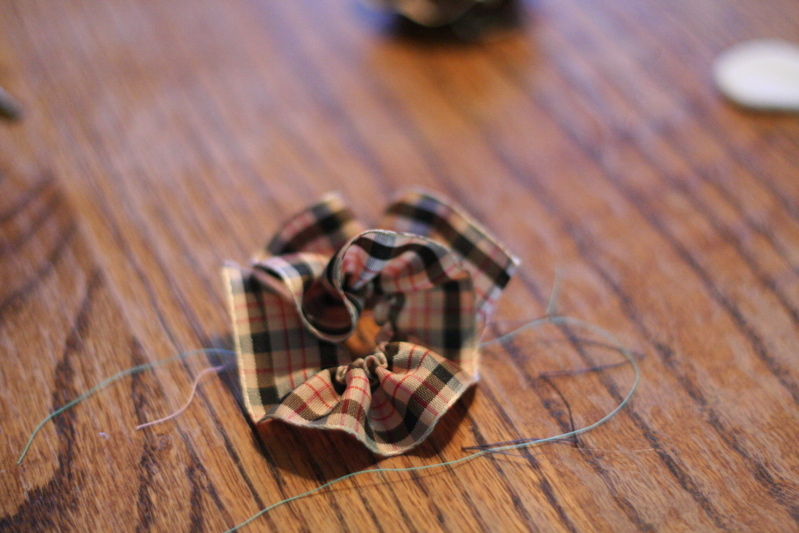 Pull the loose string and make the ribbon ruffle. 2. 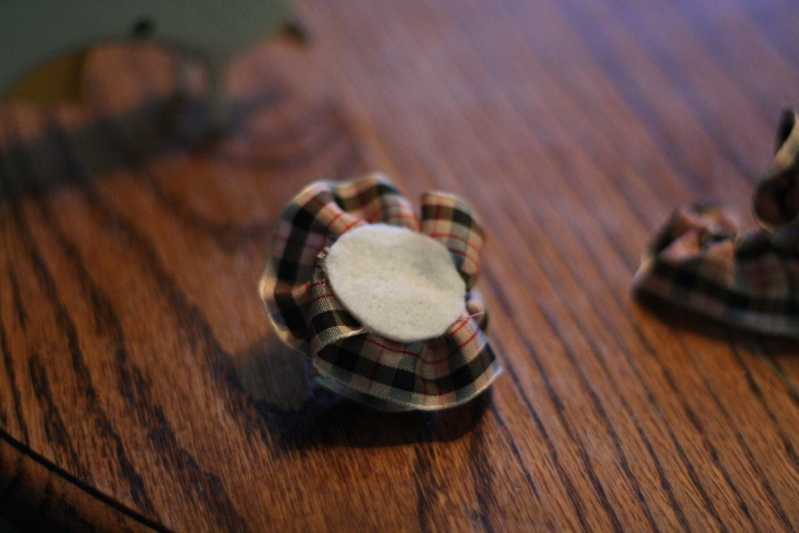 Roll them into a ribbon flower and glue a piece of felt to the bottom of the flower. 3. Do step 1 and 2 to both of your pieces of ribbon. 4. 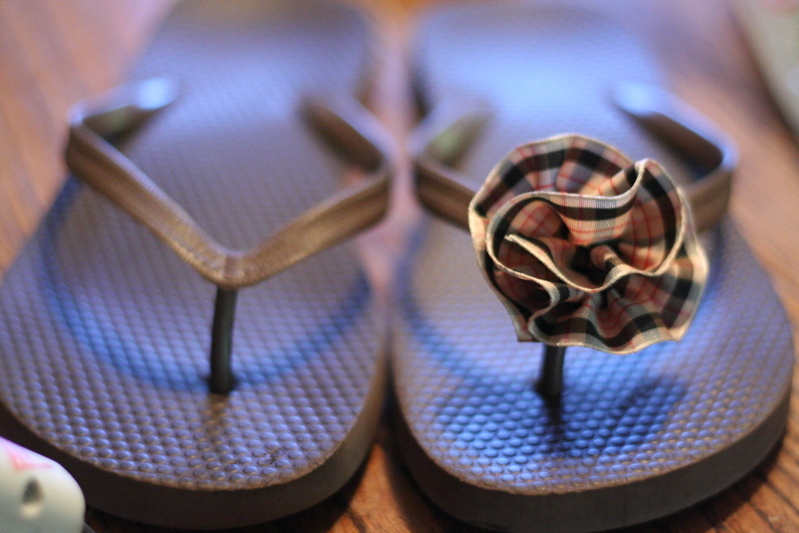 Hot glue your ribbon flower to your flip flop. 5. 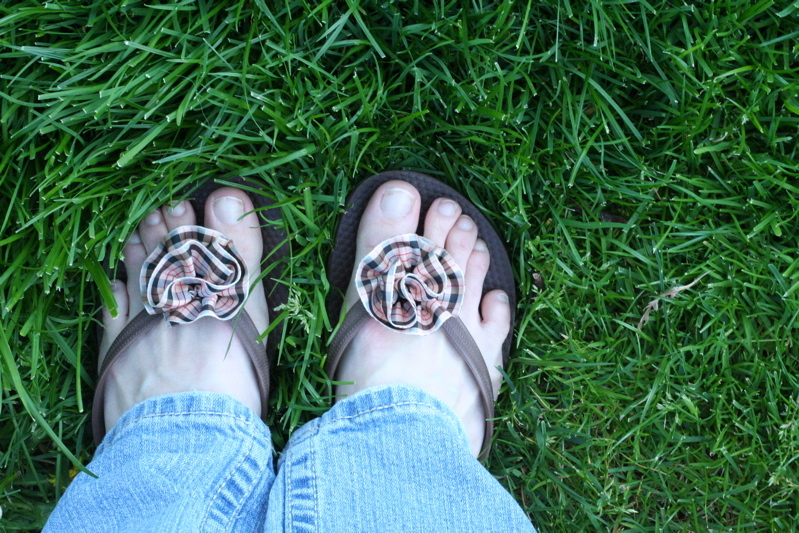 Get out and enjoy your flip flops! 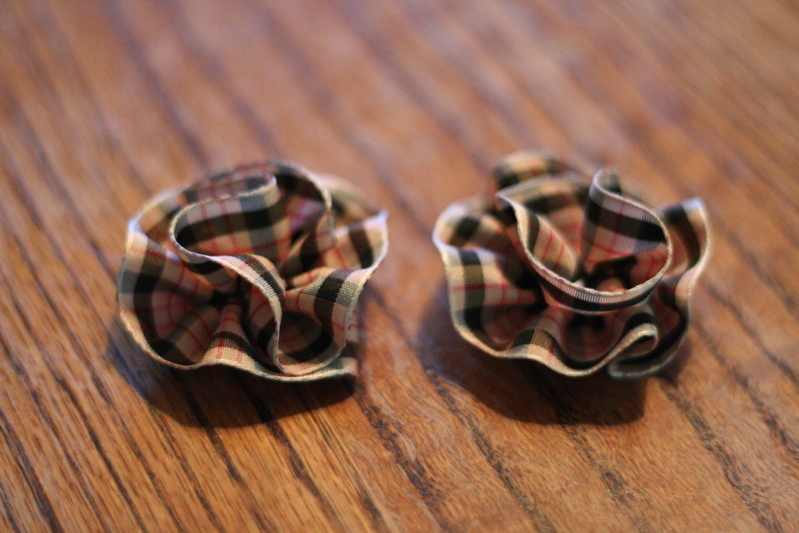 This entry was posted in DIY, I made this!, tutorial on April 15, 2010 by Deanna. Goodness, you ARE the “I-can-do-that” queen!!! Super cute. Are you going to sell them at Saturday Market this summer? I need like 4 pairs. Oh my, I love your blog! I just found it. You have some of the cutest ideas! I upcycle vintage jewelry, so I always appreciate unique ways to improve things I already own. I’m definitely going to try some of your projects!